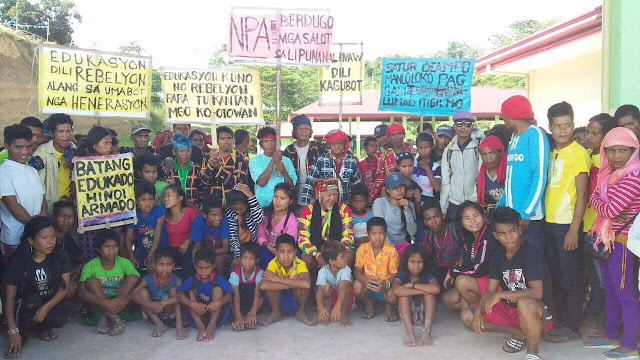 It was on November 28 that news broke out of former Bayan Muna Rep Satur Ocampo and ACT Teachers Representative France Castro, as well as other volunteers being detained and accused of kidnapping Lumad school children. Ocampo, Castro, and 16 others, were arrested at a checkpoint in Talaingod, Davao del Norte for allegedly holding and transporting students, including minors of Salugpungan Learning Center, a school for Lumads, without the consent of their parents. Facebook netizan Pagan Magali AmMan showed immense concern over the events and she took to the popular social media site in order to air out her thoughts. AmMan clearly does not like the progressive group including Ocampo and Castro. She feels like they were only peddling their own self-interest instead of the Lumads. She accuses them of not bringing anything good to the country, asking what are the positive things they have contributed. AmMan also goes on to show her frustration towards Philippine media. She says that the mainstream media does not seems to show to the people their struggles. She adds that some Lumads have already spoken out about the incident but the attention is focused on the progressive group. Amman then also shared some experiences her relatives living in the provinces had. She says that some people sometimes visit these communities to collect revolutionary tax. Some also ask for other home items. Ending her post, Amman asked that the partylist system of the Philippines be abolished as she says the money that they have is not being put to good use. "Bakit tila bingi ang mainstream media at ang ibang taga pamahalaan sa hinaing ng mga kapatid nating Lumad? Nagsalita na ang tribal leaders pati ang isang youth leader sa kung ano ang ginagawa ng makakaliwang grupo nila satur ocampo et al subalit ang pinalalabas eh sila ang argabyado at hindi mga Lumad. 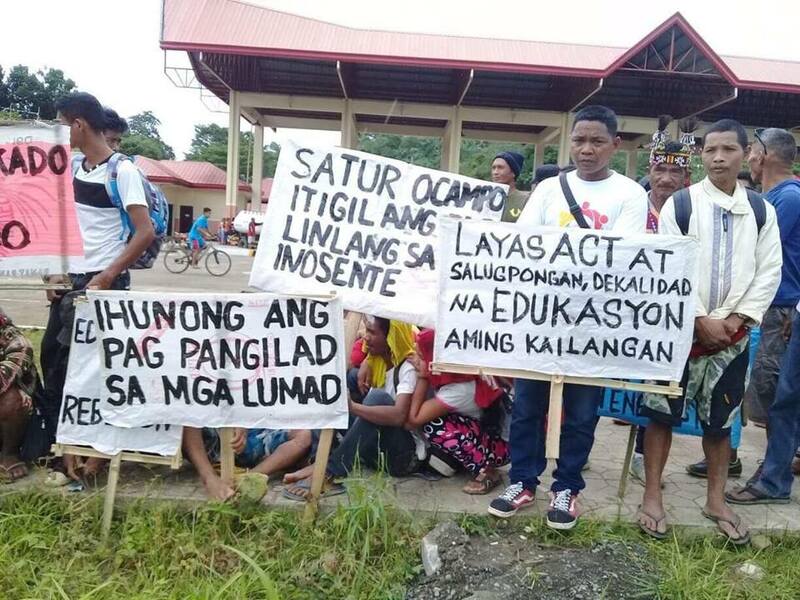 Wala man lang simpatiya para sa mga Lumad. Hoy! Kahit kelan eh gulo ang dala ng mga makakaliwa. 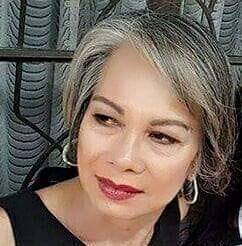 Ano ba ang dinulot nyang ganda sa pamahalaan at taongbayan? Mandugas, manakot, manlamang, maghasik ng lagim! Noong nasa probinsya pa ilang miyembro ng pamilya ko, tuwing dumadalaw ako eh madalas me 2-3 "taga bundok" na nakikitulog sa amin; nangongolekta sila ng revolutionary tax sa mga empleado at lahat ng mahihingi sa kapamilya ko gaya ng tape(basta nagustuhan nila mga awit) at kung ano-ano pa. Ilan bang kakilala ko ang dinukot nila dahil daw sa atraso sa bayan, yun isa nga isinampay nila sa bakod sa karatig baryo matapos patayin; atraso sa bayan? Eh ano ba itong ginagawa nila? Kaya yan partylist dapat na alisin dahil nagagamit lang para sa gawaing makakaliwa gamit pa ang pondo ng gobyerno.